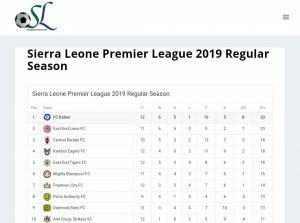 East End Lions proved too strong as they condemned FC Kallon to their first league defeat this season and kept the pressure on league leaders. Two goals in either half of the game earned the East End giants a 2-0 victory at the Siaka Steven Stadium. As a result, Lions level on points and can go top if they can win their next and final first-round game against Ports Authority. 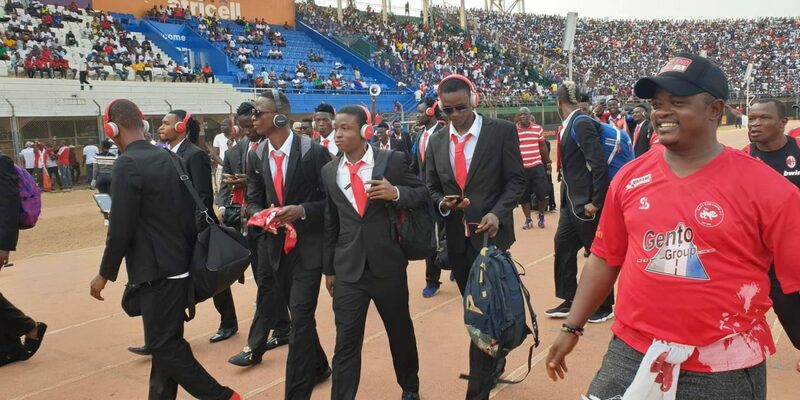 It was Football Club Kallon’s final game of the first phase in the ongoing 2019 top-flight domestic season. Musa Noah Kamara put the visitors ahead after 25 minutes, after collecting a clever pass to beat Kallon’s keeper. Lions were much more compose and showed resilient throughout the game as the Kallon boys, who have been well organised up until this match suffered their first league defeat in twelve matches played. A second-half beauty scored from 30 yards by Mohamed Kamara completed the Killers victory in a well-attended match. Despite the defeat, FC Kallon still leading on goals advantage. The Cavaliers Kallon were unable to find a way past 2014 leaders Lions in a cracking game. Cracking atmosphere at the Siaka Steven Stadium on Sunday as EE Lions defeated FC Kallon to close gap in title chase.